When she moved to the soggy Northwest a decade ago, Maria assumed that locals would know everything there was to know about clouds, in the same way they talk about salmon, tides, and the Seahawks. Yet in her first two years of living in Olympia, Washington, she never heard anyone talk about clouds--only the rain. Puzzled by this lack of cloud savvy, she decided to create a 10-question online survey and sent it to everyone she knew. Her sample size of 67 people included men and women, new friends in Olympia, family on the East Coast, outdoorsy and indoorsy types, professional scientists, and liberal arts majors like herself. The results showed that while people knew a little bit about clouds, most were like her--they had a hard time identifying clouds or remembering their names. As adults, they had lost their curiosity and sense of wonder about clouds and were, essentially, not in the habit of looking up. 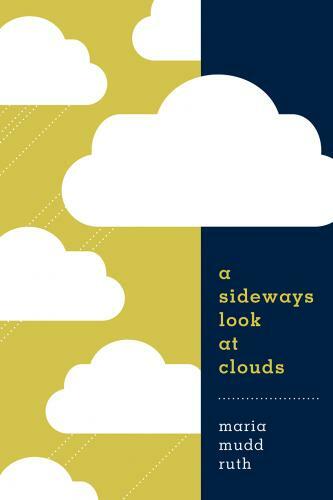 A Sideways Look at Clouds acknowledges the challenges of understanding clouds and so uses a very steep and bumpy learning curve--the author's--as its plot line. The book is structured around the ten words used in most definitions of a cloud: "a visible mass of water droplets or ice crystals suspended in the atmosphere above the earth." A captivating story teller, Maria blends science, wonder, and humor to take the scenic route through the clouds and encourages readers to chart their own rambling, idiosyncratic course.